What’s the Best River Cruise for Each Season? River cruising is a year-round pleasure. Whether you’re looking to meander along the dreamy Seine in springtime, watch a tropical sunrise over Angkor Wat or catch some autumn warmth along Portugal’s rugged Douro valley, you’ll find there’s a cruise for every month. A river voyage through Cambodia and Vietnam is a glimpse into a world of intricate temples, bustling riverside towns, floating markets and emerald paddy fields. In winter, the humidity is less intense, so you’ll have plenty of energy to enjoy Riviera Travel’s A Journey on the Mekong, visiting the stunning temple complex of Angkor; the Cambodian capital, Phnom Penh, with its sobering history; and cosmopolitan Ho Chi Minh City in Vietnam. 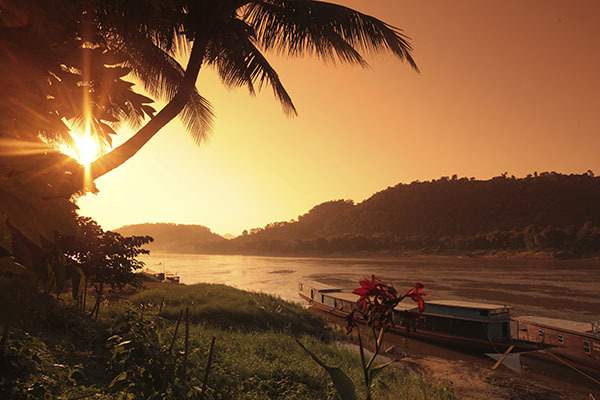 You’ll sail on either of two elegant, colonial-style ships, RV Mekong Prestige II and RV Mekong Adventurer, each with French balconies and a refreshing plunge pool. Winter is the perfect time to cruise the Nile, with sunny days and mild temperatures. Riviera Travel’s two-week Wonders of the Nile: From Cairo to Aswan tour combines bustling Cairo with a leisurely Nile cruise to Upper Egypt; the 104-passenger MS Darakum is one of the only ships to sail all the way from the capital to Aswan. You’ll see the Pyramids and the Sphinx – and there is the opportunity to visit the Egyptian Museum in Cairo. Next, there’s a leisurely sail south to Luxor and Aswan, visiting exploring the stunning antiquities at Karnak, the mysterious Valley of the Kings and the beautiful temple of Kom Ombo. 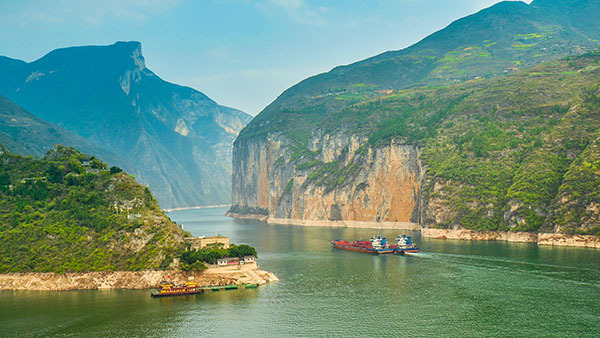 Pink blossom provides a splash of colour along the misty Three Gorges of the Yangtze in March, when a cruise on the five-star RV Century Sun is a highlight of Riviera Travel’s 16-day A Grand Tour of China holiday. As well as a chance to see delicate pagodas, mysterious hanging coffins and rickety walkways clinging to the rock faces of the sheer-sided gorges, this fully escorted tour includes such treasures as Beijing’s Forbidden City, the Terracotta Army and the Great Wall of China. By April, the dazzling bulbfields of the Netherlands are bursting into flower, creating a tapestry of brilliant colour across the flat landscape. Riviera Travel’s seven-night Bruges, Medieval Flanders, Amsterdam & the Dutch Bulbfields cruise will be a chance to experience the five-star MS George Eliot, brand new in 2019. Sailing round-trip from Amsterdam, you’ll visit Arnhem, as well as the gorgeous medieval city of Antwerp. It is on to pretty Ghent, with trips to Ypres and romantic Bruges, famed for its chocolate and canals. The final highlight is a trip to Keukenhof, the world’s largest and arguably, most spectacular flower garden. Springtime in central Europe brings perfect temperatures for this unusual cruise across the Balkans. Sailing round-trip from the Hungarian capital, Riviera Travel’s Budapest to the Black Sea voyage takes you to Kalocsa, Pecs and Belgrade with its magnificent Kalemegdan Fortress, and through the breathtaking Iron Gates Gorge towards Bucharest. There’s a chance to explore the wetlands and marshes of the vast Danube delta and the Black Sea resort of Constanza, too. 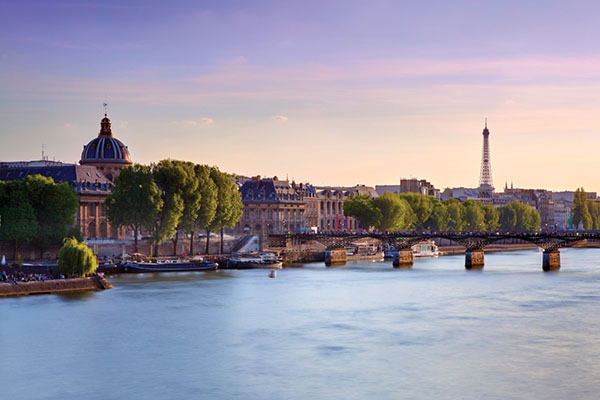 Paris is at its most romantic in early summer and there’s no better time to gaze at the bucolic Normandy scenery as your ship glides from the French capital along the dreamy Seine. On the week-long The Seine, Paris and Normandy River Cruise, the 88-passenger MS Swiss Ruby calls at medieval Rouen and the exquisite riverside village of Caudebec-en-Caux. There’s a visit to Bayeux and a day at the D-Day landing beaches. It’s easy to see how the light in the pretty harbour of Honfleur inspired Claude Monet – and at his former home in Giverny, you’ll see the lush gardens and lily pond immortalised in his most famous works. In early July, the hazy fields of purple lavender that epitomise Provence in summer should be in full bloom. Riviera Travel’s week-long Burgundy, the River Rhône and Provence odyssey through southern France includes the wine country around Lyon, as well as the craggy beauty of the Ardèche Gorges and the lovely old city of Avignon, where you’re moored just along from the famous bridge. There’s a chance to see the amphitheatre at Arles and the spectacular Roman aqueduct at the Pont du Gard, against a backdrop of Nature’s most luminous colours. By August, the steeply raked vineyards along the Rhine and Moselle valleys are a brilliant green, grapes heavy on the vines. With wine on the mind, this is the time to join a voyage on the luxurious MS Jane Austen, where you’ll visit the lovely old towns of Rüdesheim, Koblenz and Boppard, where half-timbered houses line the narrow streets, and sail deep into the Moselle valley, to Cochem and Bernkastel. These areas are known for their wine trading and will be time to take an optional excursion for a wine tasting while in Bernkastel. There’s still time to plan a visit to Russia this year, joining Riviera Travel’s 12-day Russian Odyssey cruise-tour on the MS Rossia, exploring the Kremlin, monasteries, and museums along the river Volga. You’ll see the beautiful cities of Moscow and St. Petersburg, where so much history and folklore was made. There will even be the opportunity to see a live reenactment on the MS Rossia in the evening. The perfect time to explore Portugal’s Douro Valley is autumn, as the heat of summer is fading. 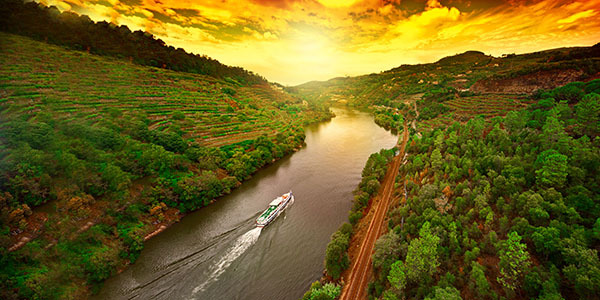 Wander the cobbled streets of Porto before embarking on Riviera Travel’s eight-day The Douro, Porto and Salamanca voyage deep into the wild, hilly countryside, the steep-sided river valley lined by terraced vineyards producing the famous port wine. Olive and apricot trees stud the hillsides, while medieval villages doze on the upper slopes. The cruise includes a day across the border in Salamanca, its ancient, honey-coloured sandstone buildings glowing in the sunshine. 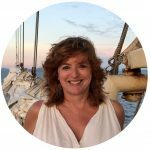 November brings a chance to meet like-minded travellers on one of Riviera Travel’s highly successful solos holidays, in this case, The Blue Danube River Cruise. Sailing on the luxurious MS Oscar Wilde, you’ll visit lively Budapest, as well as Bratislava, the capital of Slovakia. In Lower Austria, the trees should still be brilliant with autumn colours. Here, you’ll visit Dürnstein Castle, where Richard the Lionheart was imprisoned, as well as the exquisite baroque abbey at Melk, before spending a day in Vienna to explore the galleries, museums, the Opera House and the Spanish Riding School. There’s no better way to savour the traditional advent markets along the Danube than on the luxurious MS Thomas Hardy, on Riviera Travel’s six-day voyage, The Danube’s Imperial Cities and Yuletide Markets. Explore the sights of Vienna and Budapest, where the aroma of sizzling sausages and spicy mulled wine wafts through the air and you can shop for hand-made Christmas ornaments, scented candles and spiced Stollen cakes. Click here to view our collection of River Cruises.